The following procedures are suggested for handling various situations associated with certification of materials used in construction. The purpose is to assist in determining the type and scope of certifications needed to supplement normal inspection of materials furnished. The supplier's certification has little meaning unless supported at project and district levels. Therefore, letters of transmittal and test reports accompanying certifications submitted to the main office should support acceptance of material by stating that the material has been examined, that the certification is believed to be applicable, that both show conformance with specification requirements, and the material is accepted. Certifications shall be obtained when specifically required by the specifications. Examples are culvert metal, some sign materials, pipe gaskets, water pipe, etc. Culvert Metal Manufacturer's Certified Analysis and Guarantee are general and need not be obtained for each project. Certifications shall be obtained for materials or equipment of such nature that it is impractical to test them or the department does not have facilities to make complete tests. Examples are fabricated joints on clay pipe, cast iron water pipe, copper, preformed elastic joint seal, etc. The Division of Construction and Materials should be consulted in case of question. Generally, certifications shall be obtained from the contractor by the resident engineer, or by construction and materials personnel with the assistance of the resident engineer. Construction and Materials personnel shall obtain certifications from materials suppliers or manufacturers, when a supplier customarily furnishes material for many projects annually and such practice is more desirable. Certifications shall be obtained and checked upon delivery or prior to use of material - not after it has been used. If obtained from the contractor, obtain certification in either electronic or paper form. Certifications are to be saved in the project file located in the Contract Information Archive folder. If obtained from material supplier or manufacturer by materials personnel, obtain in either electronic or paper form, make out regular field inspection report, scan the certification if need be, and save it in the project file in the Contract Information Archive folder. Statements Required from Contractor. The contractor shall state that based upon knowledge of the material or upon certifications, the material meets requirements of the listed specifications. The foundation for this statement shall be attached, and shall consist of supplier's, fabricator's, and manufacturer's certifications, or manufacturer's certifications, if purchased directly. Such contractor's statements need not be notarized unless specifically required by specifications. When samples are submitted by the contractor or the contractor's supplier to our laboratory for tests, the contractor shall certify that the samples represent the material which will be used. Fabricator’s or Jobber’s Certifications. They shall state that the fabricator or jobber is familiar with requirements of the specifications for the project, citing section and paragraph numbers, and certify that the material came from lots which meet requirements as supported by attached manufacturer's certifications. All statements and certifications shall be identified by contractor's name and project number. Manufacturer’s Certification. Manufacturers shall state that they are familiar with requirements of the specifications and certify that the material meets requirements of the cited sections and paragraphs. Mill test or typical analysis results shall accompany or be a part of the certification when applicable. The contractor's name and project shall be shown on the certification except when material is supplied to a fabricator or jobber for stock for sale to a number of contractors. Check of Certifications for Suitability and Completeness. Certifications and statements should be checked by project forces or by district materials personnel, or each may check particular portions of the certifications. Certifications should be checked against specifications to see that section references are correct, and that any test values reported comply with requirements. Certifications should be checked against material supplied to determine that the certification is applicable and valid. c. Statement that the material or product complies with the designated specifications, including explicit reference to those specifications, any subsections, and any detail necessary to clearly indicate the characteristics of the material. e. Batch, Lot, Heat or other identifying mark, as may apply, to clearly identify the material being certified. f. Contract and project numbers when the contract requirements differ from the general material specifications or when the contract requires the certification be contract specific. g. Applicable test data, when required. h. Signature of an individual authorized to represent the company. a. Make reference to the particular specification in sufficient detail to show beyond reasonable doubt that the company is familiar with requirements of the contract. b. State that the material or product meets those requirements. Certification should, if available or required, include applicable test data. c. State that the certification applies to that material which was supplied for that particular project. a. The certification has been examined and shows compliance with contract requirements. b. The certification is believed to be applicable to the material delivered for the project. c. The material has been examined and it is believed that it does meet contract requirements. In order to assure that all these points are covered on the inspection reports for material accepted on basis of certifications, some statement such as the following is necessary: "Based on examination of the attached certifications and an examination of the material, we believe that the certifications are applicable and that the material conforms to the requirements of the specifications. Material accepted." Modifications of this statement are to be made as necessary to reflect actual circumstances of acceptance. The foregoing are general procedures. If specific instructions for a specific material differ from those given in this section, then the specific instructions are to be followed. It will be satisfactory to accept limited quantities of certain materials on the basis of “Small quantity”. This might apply, for example, when a MoDOT representative cannot be at the scales when the material is weighed or at the plant when the material is produced. In these instances, the contractor or producer will furnish detailed documentation of the quantity and nature of the material, such as a weight ticket providing sufficient information from which to compute the net weight of the material. At destination, the inspector shall issue the appropriate delivery record based on the weight ticket furnished by the contractor or producer. EPG 106.19 shall be noted in the space provided for the scale inspector's signature. This will document that acceptance is authorized by these instructions. Small quantity is subjective but generally the term is invoked when the quantity of material is truly small (without regard to the scope of the project), the cost of inspection exceeds the value of the material (including safety considerations, or the affect of the material on other aspects of the project), or there literally is no way to achive the designated inspection with available resources. The resident engineer has a heavy responsibility for exercising good judgment in application of these provisions since they involve relaxation of normal acceptance procedures for both quantity and quality of various materials. The resident engineer must be assured that materials and methods covered by these provisions substantially conform with contract requirements so that if necessary, the resident engineer can certify that this was the case. Abuse of these provisions could lead to their revocation. This portion of the instructions deals with the quantities and types of materials that may be accepted without plant or scale inspectors. The type of material which may be accepted up to approximately 100 tons per working day under these conditions are: (a) aggregates for bases, (b) aggregates for surfacing, and (c) sand for primer. The total of each of these materials that may be accepted in this manner is limited to approximately 500 tons per project. These materials must be furnished from approved production or stockpiles and no certification will be required. Certain composite materials may be accepted without the presence of the plant inspector if the contractor or producer will furnish a certification showing the proportions to be satisfactory and weight tickets as outlined above. Acceptance of such material under these conditions should be made only after the plant has been checked during normal operations to assure that proper gradations are normally obtained. The types of material which may be accepted up to approximately 50 tons per working day under the conditions for composite material are: (a) plant mix bituminous materials and (b) asphaltic concrete. The total quantity of such materials that may be accepted under these relaxed conditions is limited to approximately 250 tons per project plus any materials of this type required for temporary construction to be maintained by the contractor and removed before final project acceptance. The contractor must furnish with each load a certification that state inspected and approved materials have been proportioned and mixed in accordance with the approved mixture and the requirements of the contract. c.	the resident engineer provides for occasional conventional field sampling and testing for characteristics such as slump and air entrainment and occasional test cylinders with such intermittent or random plant inspection as is deemed necessary for control. a. Sidewalks - not to exceed approximately 500 square yards per day. b. Curb and Gutter - not to exceed approximately 500 linear ft. per day. c. Concrete Base Course and Concrete Base Course Widening - not to exceed approximately 500 square yards per day. d. Paving Patching, and Temporary Pavements. e. Building Floors and Foundations. g. Paved Ditch and Ditch Liners. k. Catch Basins, Manhole Bases and Inlets. l. Sign, Signal and Light Bases. Concrete accepted under these procedures shall not be used in major structures, permanent main line or ramp pavements or other structurally critical items. This portion of the instructions deals with the quality acceptance of various types of materials. a. Acceptance on the basis of visual examination, provided the source has recently furnished similar material found to be satisfactory under the department's normal sampling and testing procedures. b. Acceptance on the basis of certification by the producer or supplier, stating that the material complies with the pertinent specification. 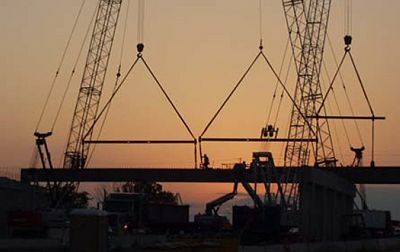 Primary documentation of acceptance of material under either method should be provided by the resident engineer, or by the person approving the material. The documentation may consist of a daily inspector's report with a statement showing the basis of acceptance of the material and the approximate quantity of material covered by the acceptance. a. Aggregates - not to exceed approximately 100 tons per day nor more than approximately 500 tons per project. b. Bituminous Mixtures - not to exceed approximately 50 tons per day nor more than approximately 250 tons per project plus any such materials used for temporary construction which is to be maintained by the contractor and removed before final acceptance of the project. c. Bituminous Material - not to exceed approximately 100 tons per project. d. Paint - not to exceed approximately 20 gallons per project. Acceptance to be based on weights and analysis on the container label. e. Lumber - recognized commercial grades only may be used. f. Masonry Items - subject to checking for nominal size and visual inspection - not to exceed 100 pieces. g. Plain concrete or clay pipe - 100 ft.
Leftover material includes manufactured material items such as pipe, guardrail, reinforcing steel, etc., obtained by the contractor for authorized work but at the direction of the engineer has not been incorporated into the work. When leftover material has been inspected, tested and accepted by the engineer and has been properly stored and maintained, it will be purchased from the contractor at actual cost as shown by receipted bills or other proper evidence, or it may be returned to the supplier for a refund (which is the preferred option). If properly documented in the invoice(s), the contractor may be reimbursed for any handling of material and restocking charges, and a 5% mark-up for overhead. See EPG 108.11 Termination of Contract for Convenience of the Commission for guidance about settlement of payment for leftover material. Payment for this material should be shown as a line item adjustment for the line number for which the materials were purchased. The adjustment type shall be "Left Over Materials." The Resident Engineer should document the rationale for acceptance and disposition of the material. This page was last modified on 8 June 2016, at 12:54.